Tomb | One Mom Talking: The ongoing story of one mom, three teens, and heroin. One Mom Talking: The ongoing story of one mom, three teens, and heroin. 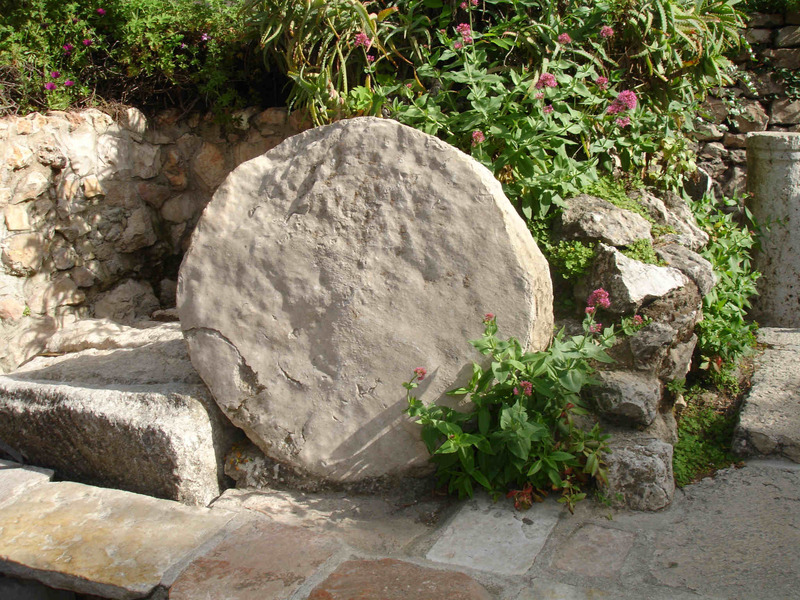 I once read that the stone which covered the entry to Jesus’ tomb would have weighed 1-2 tons. Let’s be cautious – let’s err on the light side and imagine it was just under one ton. Let’s, for the sake of argument, say it only weighed 1,750 pounds. One thousand seven hundred and fifty pounds. this is the weight of a stone that we cannot roll away in our own strength.